The art of handmade paper and the art that it makes. Technically speaking, Handmade Paper is paper made by hand using a mould (a frame covered with a flat, rigid screen or flexible screen) and deckle. Handmade paper is a layer of entwined fibers and held together by the natural bonding properties of cellulose fibers. The mold is covered by a flat frame called a deckle, to contain the run-off of wet pulp, dipped into a vat of wet pulp, shaken to distribute the fibers evenly and drained of its excess water. The wet mat of fibers remaining in the newly formed sheet is then pressed and dried using a variety of restraint techniques and traditional air-drying (wool felts, hot pressed, cold pressed, or hung). Classic laid-line papers are handcrafted in the centuries-old Western/European tradition. Each sheet is individually formed using the finest tools and acid free archival pulp made from natural fibers including cotton, flax, linen, hemp, raw flax and abaca. Inventive blends of indigenous and exotic plant fibers and flowers are utilized to create unique papers. What we do is environmentally friendly. We recycle used fabric (linene, hemp, cotton) and harvest naturally grown plant fibers. We do not use bleach or other toxic chemicals in the process. Fibrillation and hydrogen bonding create the strength and durability of each sheet (a result of the beating process), without the use of chemicals, as was the tradition in Europe 500 years ago. A light sizing is added to most of our papers to create water resistance for the end user of the paper. Many of our fibers, like cotton and linen come from recycled sources. All of our fibers need to be cleaned and free of any chemical residue. 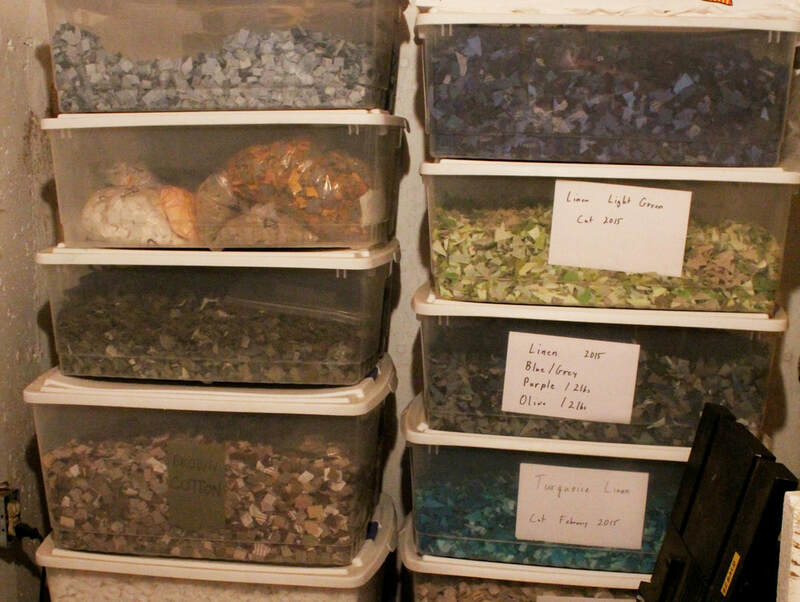 They are then sorted and the material is chopped into small uniform sized pieces for making the pulp. The pulp is beaten to specific standards using a 2 lb. studio sized David Reina Hollander beater. 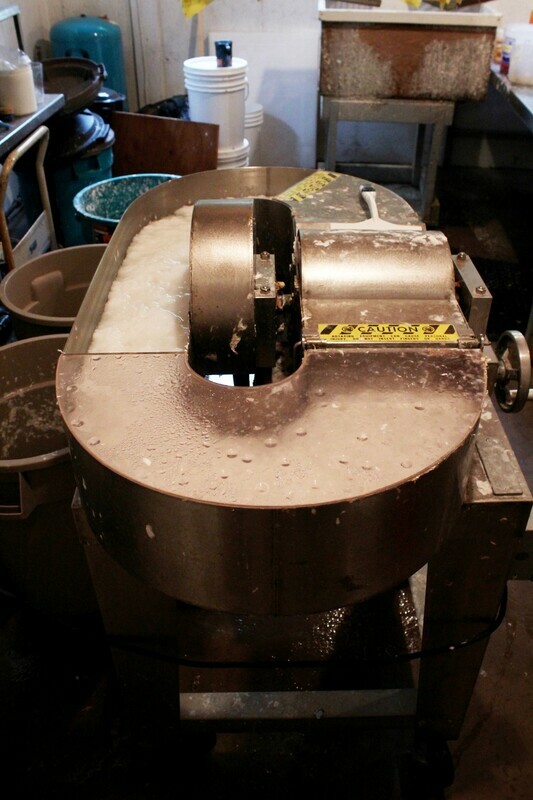 The beaten pulp is mixed according to the recipes of the specific paper being made. Each batch is PH tested to ensure that it is acid-free and archival. Additives such as sizing and aqueous dispersed pigments are utilized. The beaten pulp is then transferred to a vat where it is individually sheet-formed using traditional laid-line moulds and deckles (specifically made for Christine at Amies and Sons, in Maidstone, England). The mold and deckle is dipped into the vat, collecting pulp onto the wire screen of the mold, shaken evenly and lifted out with the pulp on it. 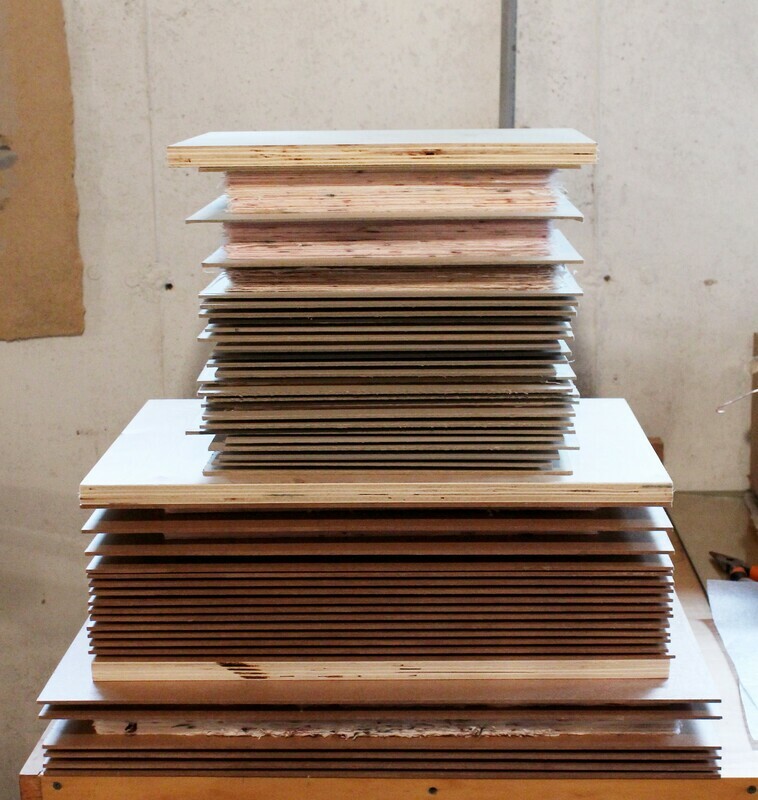 ​The wet paper is transferred on a cloth/felt sheet, building up a stack of interleaved sheets. This stack of wet paper forms a “post”. 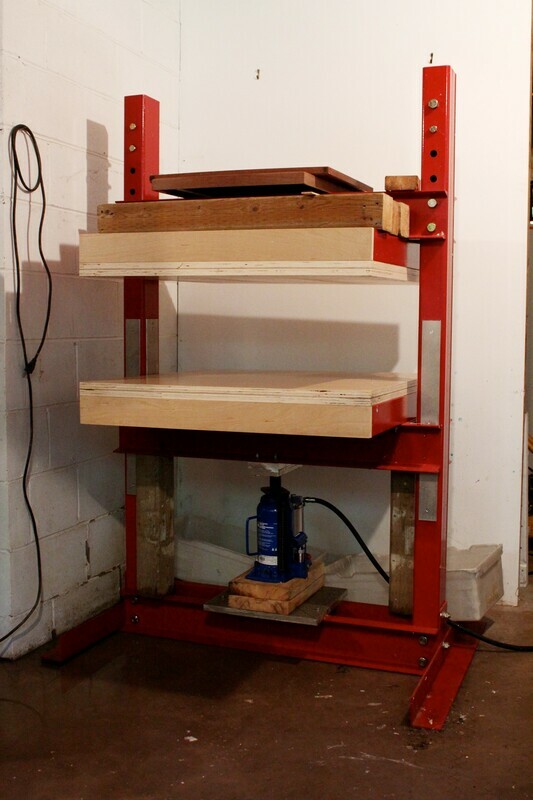 The post is then transferred to our custom built hydraulic press for pressing to remove excess water. This press was built by Gerald Beaulieu. He can make these for sale as a custom build and shipped to locations across North America or Europe. 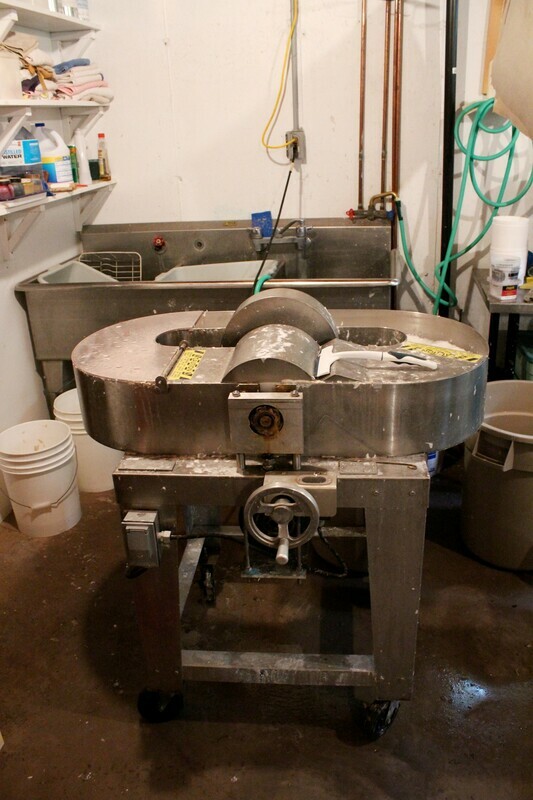 Presses designed and built like this typically sell for between $6000. - $12,000. (Canadian currency). A variety of restraint and air drying techniques are employed to finish the papers. 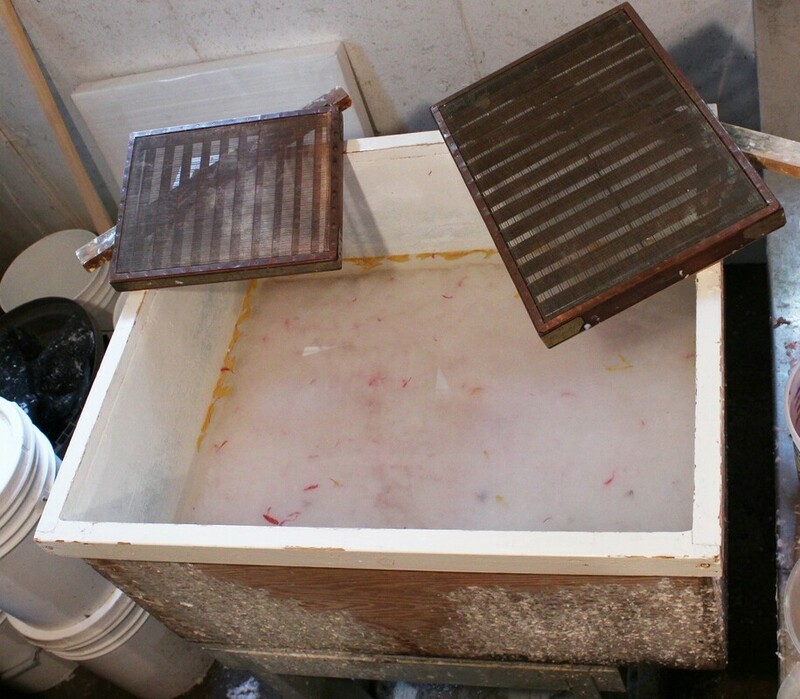 And that is how we make our handmade paper! If you would like to purchase any of our specialty handmade paper, made locally in Prince Edward Island, Canada - please contact us!